A gift in your will to help people in poverty is a wonderful way to put love into action. Your charity legacy will live on in the future, bringing hope to all whose lives you touch. After providing for your loved ones, consider a legacy to Caritas Internationalis, the helping hand of the Catholic Church worldwide. We can help you with the next steps to leaving a legacy – contact us for more information. 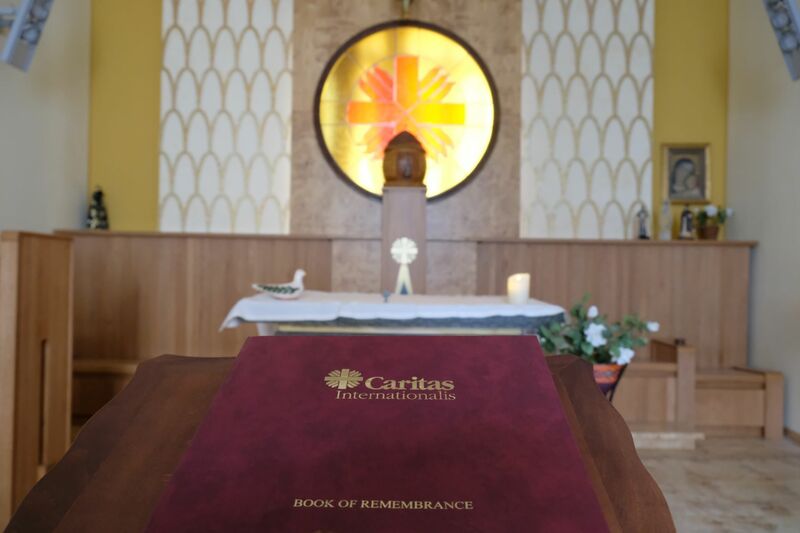 Why leave a legacy to Caritas Internationalis? Our Catholic faith is built on hope, and the promise of a better world for all. Your remembrance gift to Caritas will help build that world for our sisters and brothers in need, enabling us to speak up for them, to respond fast in a crisis, and to influence the decisions world leaders make about how to tackle poverty. Caritas Internationalis links all 165 national Caritas organisations with our shared values of dignity, justice, solidarity and stewardship. Your support will be part of a global force for good that is changing lives in over 200 countries. As the humanitarian arm of the Church, we save lives in places other agencies struggle to reach. In Venezuela, where political crisis has led to soaring poverty, aid access is blocked. Yet we are helping Caritas parish teams feed acutely malnourished children and hand out scarce medical supplies. We are giving funds and technical support, and speaking out internationally. In a crisis, people rely on Caritas for Church, faith and community. 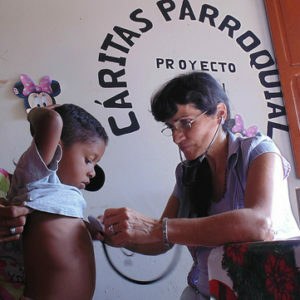 “Through listening, offering prayer and faith we awaken hope,” says Caritas Venezuela’s Janeth Marquéz. 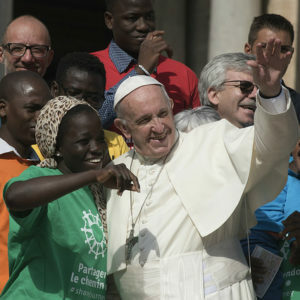 “Let us not be afraid of sharing hope!” Pope Francis declared at the launch of our 2-year ‘Share the Journey’ campaign to join communities, migrants and refugees closer together. From Chile to Japan, people are signing petitions, going on solidarity walks, and sharing meals with migrants and refugees. Caritas means love. Our passionate concern takes us deep into the world’s most forgotten crises. 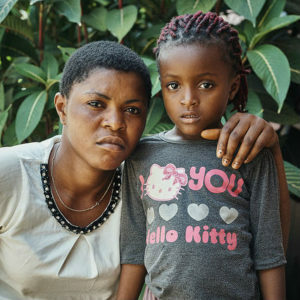 In Cameroon, conflict has driven 180,000 people from their homes. In Mamfé diocese, cut off by fighting, one brave bishop is negotiating with the army to allow terrified people to return to their homes and farms. But Bishop Andrew Nkea is not alone. 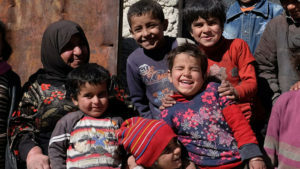 We are raising money and coordinating internationally to get expert help to the conflict zone and refugee areas, so that local Caritas can provide life-saving care. Help us put love into action. If you have questions about adding Caritas to your will, or about our work, get in touch! Email us at donations@caritas.va or ring Paola Pane on +39 06 698 79711 (Vatican City State). Or simply fill out this form and we will send you further information about how to add Caritas to your will, including suggested wording to give to your solicitor.